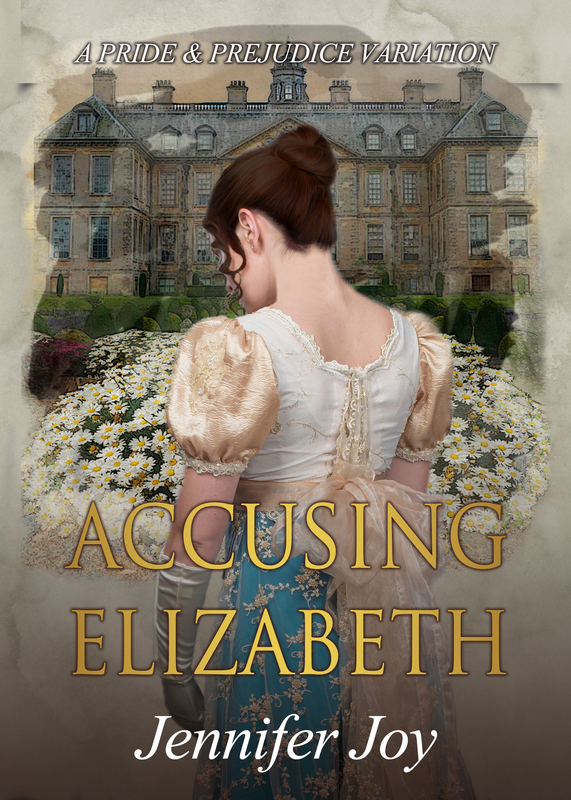 As most of you noticed, last month I was honoured to be the one revealing the cover for Jennifer Joy’s latest book, Accusing Elizabeth, and to share with all of you the first glimpse of it with a funny, yet romantic excerpt. It gave me great joy to be the first one presenting you with information on the book, but also to read all your comments and to see such a warming reaction both to the cover and the excerpt. I was also very happy to see so many discussions arising from it. It always gives me a lot of pleasure to see my readers intervene in the blog. This is a place for everyone to share their opinion, and all comments are welcome. In this particular case, the participation was very intense, and for that, I must thank each one of you!!! I also want to thank Jennifer Joy because along with the excerpt, she brought a very generous offer of 4 ebooks to give to my readers. Thank you once more for your generosity Jennifer! Please send me your e-mail contacts to ritaluzdeodato at gmail until the 12th of February, so that I can pass them along to Jennifer for the ebooks to be sent to you. Thank you so much! I love Jennifer’s books. Loved the special posts, too, Rita!